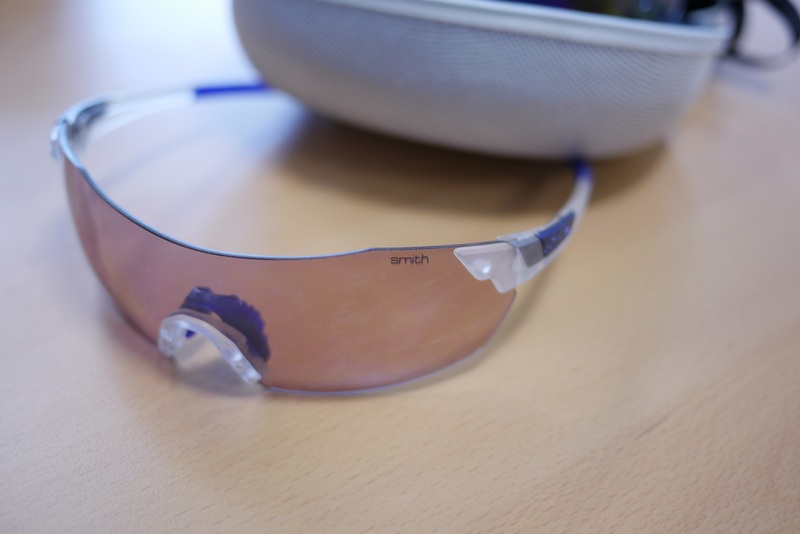 Here’s my hopefully helpful review of the Smith Optics Pivlock V2 cycling eyewear. A breakdown of the design features followed up by real world out-on-the-bike riding and testing. I like to wear some sort of eyewear on every bike ride I do. As someone who wears spectacles almost all of the time off-the-bike, I actually feel a bit vulnerable if I don’t have something in front of my eyes. Non-spectacle wearers will probably be more used to the wind buffeting their eyeballs. They won’t notice it. Having wind-impaired vision will just feel normal. They won’t appreciate that there is another way. 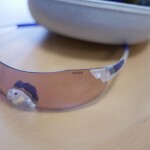 Wearing eyewear when cycling results in clearer vision and less eye- and face-ache. You’ll stop screwing your face up all the time – something you probably aren’t aware that you’re doing. Finding some riding glasses that work isn’t always easy. 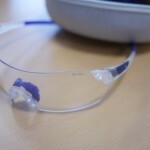 Good cycling eyewear needs to: be comfortable, offer protection from debris as well as wind, be resistant to fogging up, and suit various light levels. They come supplied with three different lenses. All V2s come with a Clear lens and an Ignitor lens (pale orangey-pink). The third lens depends on which model of V2 you buy. I tested the Matt Clear Frame with Blue Mirror Lens V2. This is the top-end V2 and – truth be told – a bit OTT. 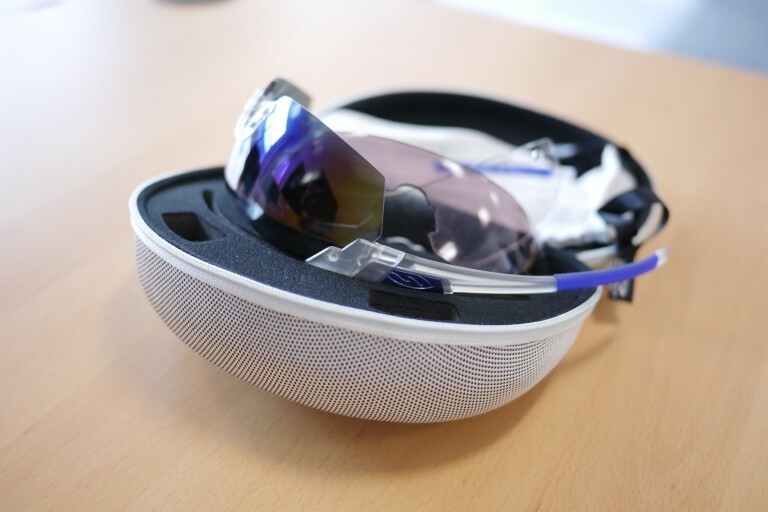 As a UK cyclist I’m going to be spending most of the time wearing the Ignitor and Clear lenses. I’d recommend going for one of the less expensive V2 combos. First of all, they were extremely comfortable to wear. When I first grabbed them I was concerned about the light weight feel to them and the flexy-ness of the ends of the arms. I didn’t think the glasses would stay put. I thought they’d float or migrate a bit around my ears or nose. When I put them on these concerns were still present. I could hardly feel them. They felt oddly floaty and not-there. Well I’m happy to report that the glasses didn’t float away or bounce around during riding. They stayed in place just fine. No bouncing. No slipping. The rubberised arms and adjustable nose-piece are well executed. I actually forgot all about them once I’d begun my ride. Always a good sign. The optical quality of the lenses is excellent. 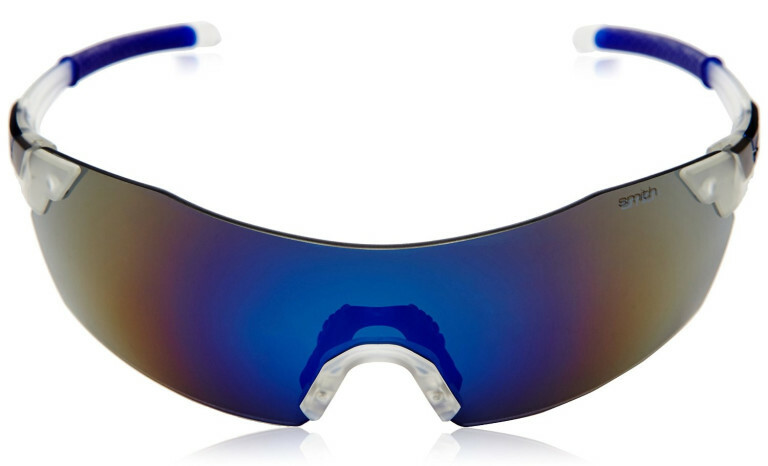 Particularly the Ignitor do-it-all lens and the needs-to-sunny Blue Mirror lens. Very clear, very sharp. All the way across to the edges of the lenses. Changing lenses was as straightforward as it gets. They were initially a bit stiff to release at first but after a couple of lens changes the stiffness went. They didn’t get baggy though, the locking mechanism remained nicely positive. The Clear lens was very good in a non-distorting and protecting sort of way too. As it’s clear it lacks the contrast increase and glare reduction of the other two lenses but you’ll only be wearing the Clear lens when night riding so contrast and lgare isn’t really so much of an issue then. The Ignitor lens is great. Just enough of colour and contrast boost to improve things without making anything go weird. I’d say I’d be using the Ignitor lens 90% of the time really. It just works so well during a variety of conditions. The lack of outer frame around the lenses makes for a very un-interrupted and non-distracting field of view. They do look very sporty and ‘cricketer’ stylee so I wouldn’t wear them casually but they look pretty normal (stylish even) when you’ve got a helmet on and are with your bike. 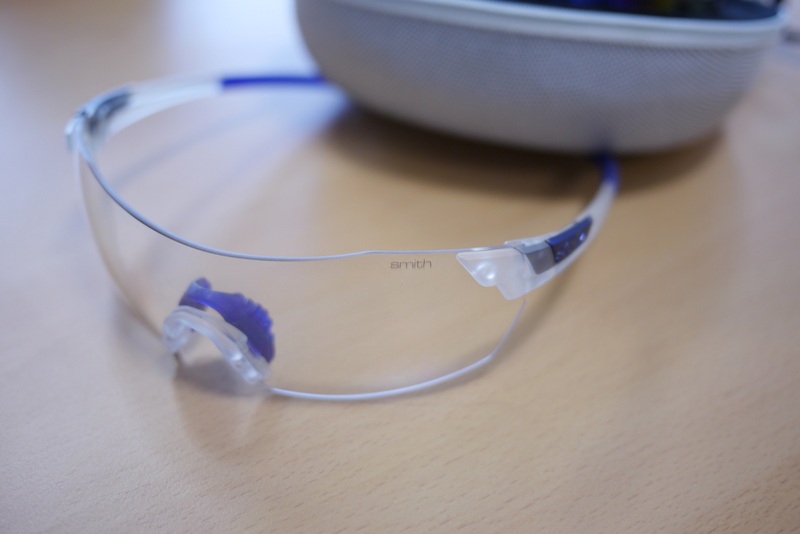 The Smith Optics Pivlock V2 glasses are well designed and well made pair of riding glasses. 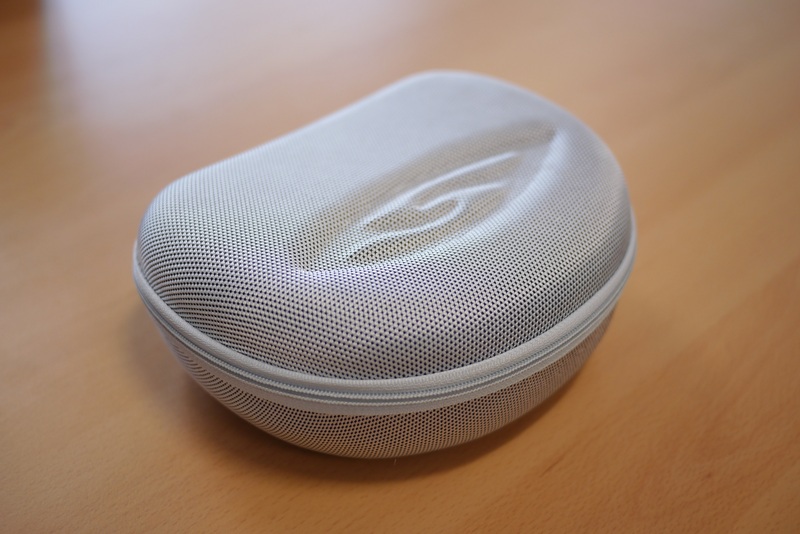 Light, comfy, stable and with the super-useful Ignitor lens. As ever, if there’s anything I’ve not explained very well – or not covered – please leave a comment below. 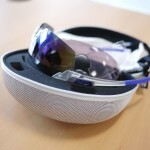 Tagged blue mirror, eyewear, ignitor, night riding, pivlock, shades, smith, smith optics, sunglasses, v2. Bookmark the permalink. 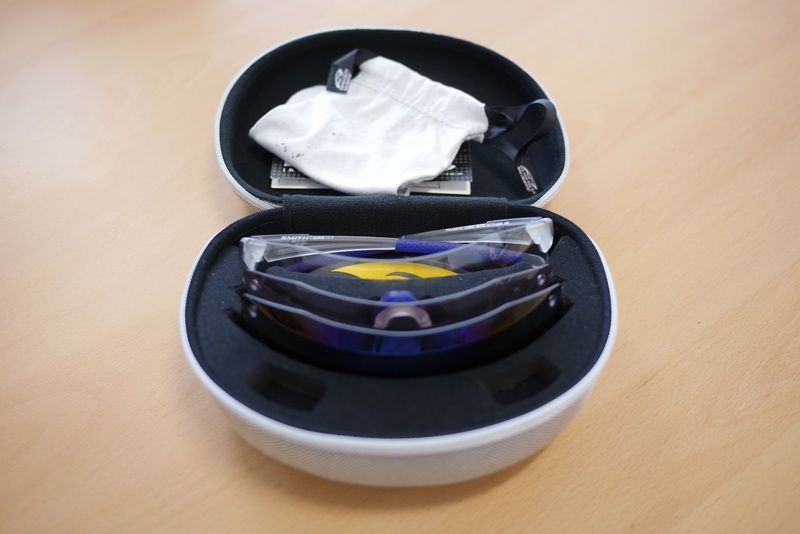 If you need to wear corrective lenses most of the time, how do you see where you are going when cycling wearing plain sunglasses? Are these available with prescription lenses? If not, do you know of any that are? 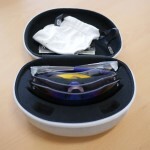 I can’t wear contacts and normal glasses aren’t great for cycling. 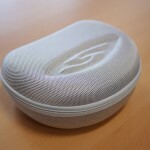 No prescription lens capability. Sorry.